CD4+ T cell subset imbalance plays an important role in the development of diabetic complications. Neutrophils have recently been known as the regulator of CD4+ T cell differentiation. However, whether neutrophils affect CD4+ T cell population in diabetes is still elusive. In this study, we investigated the effect of neutrophils stimulated with advanced glycated end products (AGEs), the marker of diabetes, on CD4+ T cell differentiation and its underlying mechanism. Our data showed that the cultural medium of healthy adult neutrophils treated with AGEs increased expressions of both Th1 (IFN-γ) and Th17 (IL-17) phenotypes and the transcription factors of Th1 (Tbet) and Th17 (RORγt) in naive CD4+T cells and CD4+CD25+FoxP3+ (Treg) T cells in vitro. Next, we found that AGEs induced the generations of myeloperoxidase (MPO) and neutrophil elastase (NE) in neutrophils; inhibition of MPO or NE attenuated the effect of AGE-stimulated neutrophils on CD4+ T cell bias. Furthermore, receptor for AGEs (RAGE) inhibitor interrupted AGE-induced MPO and NE expressions, but MPO and NE inhibitions did not change AGE-increased RAGE gene expression. 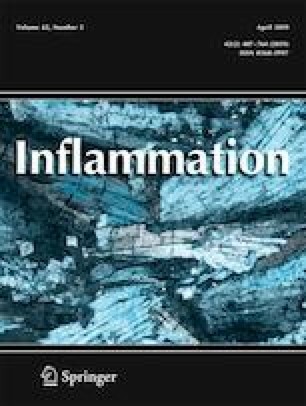 These results suggested that AGEs drive the effect of neutrophils on CD4+ T cell differentiation into pro-inflammatory program through inducing MPO and NE productions in neutrophils, which is mediated by AGE–RAGE interaction. We are grateful for the participants who volunteered for this study and the physicians and nurses in the Department of Neurology for their assistances during the execution of the work. The study was supported by Talent Initial funding YY2017-002 sponsored by Guangdong Second Provincial General Hospital, Grant 201707010436, from Guangzhou city scientific and technological research program and research program, Grant 20173024, sponsored by Chinese Traditional Medicine Bureau of Guangdong Province. This study was approved by the Ethical Review Committee of Guangdong Second Provincial General Hospital. Informed consent of blood donation was given by healthy adult volunteers who had no record of food allergy or sensitization.